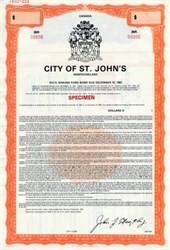 Beautifully engraved specimen certificate from the City of St. John's, Newfoundland printed in 1987. This historic document was printed by British American Bank Note Company and has an ornate border around it with a vignette a coat of arms. 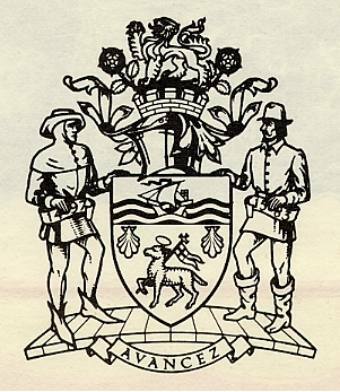 This item has printed signature of the Mayor and is over 17 years old. Newfoundland is the provence of Canada that the best dogs in the world are from: Newfoundlands aka Newfie.